CHARLESTON, W.Va. — A retired Army paratrooper and current West Virginia lawmaker seeking to restore the Democratic Party’s blue-collar roots chose Veterans Day to formalize his campaign for the presidency in 2020. Richard Ojeda made the announcement Monday at the Korean War Veterans Memorial in Washington. Ojeda filed his campaign committee paperwork with the Federal Election Commission on Sunday. "We have not had people that have really fought for the working-class citizens in this country," Ojeda said. The 24-year veteran known for his tattoos and populist message lost a U.S. House race to a Republican this month. But the number of female vets in Congress is headed up, and 17 new veteran candidates won races on Tuesday. 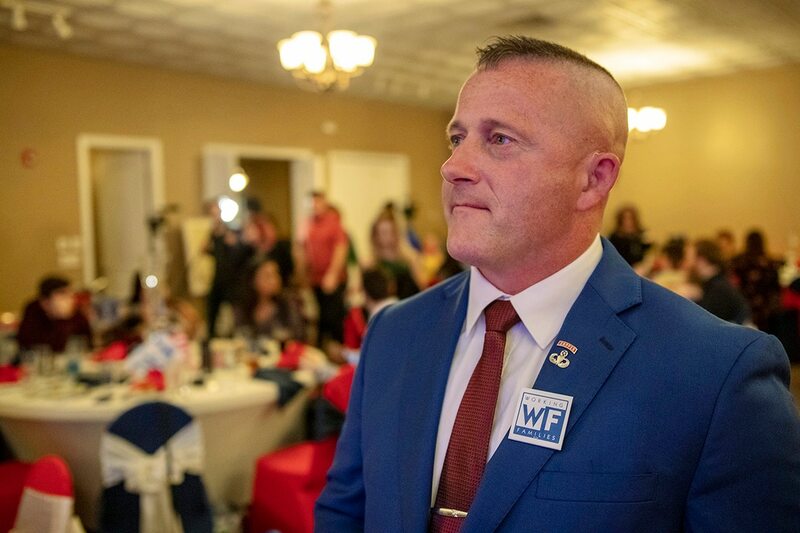 Ojeda, whose name is pronounced oh-JED-ah and is of Mexican descent, was elected to the West Virginia senate in 2016 and became a champion of teachers during their fight for better pay and benefits. He sponsored successful legislation to make medical marijuana legal, and has stressed health care and economic issues in a district reeling from lost coal jobs. He said Republicans and Democrats alike, including President Donald Trump, have focused more on "infighting, political wars." Ojeda is a relative newcomer to politics. He lost a 2014 primary race for the U.S. House before winning his senate seat in 2016. After retiring from a 24-year military career, he co-founded a nonprofit group that gave shoe vouchers to schoolchildren and provided meals to the poor and elderly, among other things. He said some kids in the coal region had it worse than the ones he saw in Iraq and Afghanistan. Ojeda said politicians on the federal level should be required to donate everything they make above $1 million to charity. Ojeda took the struggles of state teachers to heart because he spent four years as a high school ROTC instructor. He spoke to groups of teachers several times and made a passionate Senate speech in January in favor of them. The next month they embarked on a nine-day strike and won a 5 percent pay increase.